This pack is an listed as an Exclusive Pack, you can get this only while supplies last. Remember that these are listed as a promo and not a booster. In all packs you receive the cards listed below. Yugi Duel Monsters is © 2002 - 2004. All Characters and respective names are a © of their repective companies. 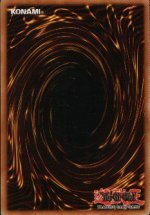 This site is a fan site and not the official Yu-Gi-Oh Web site.